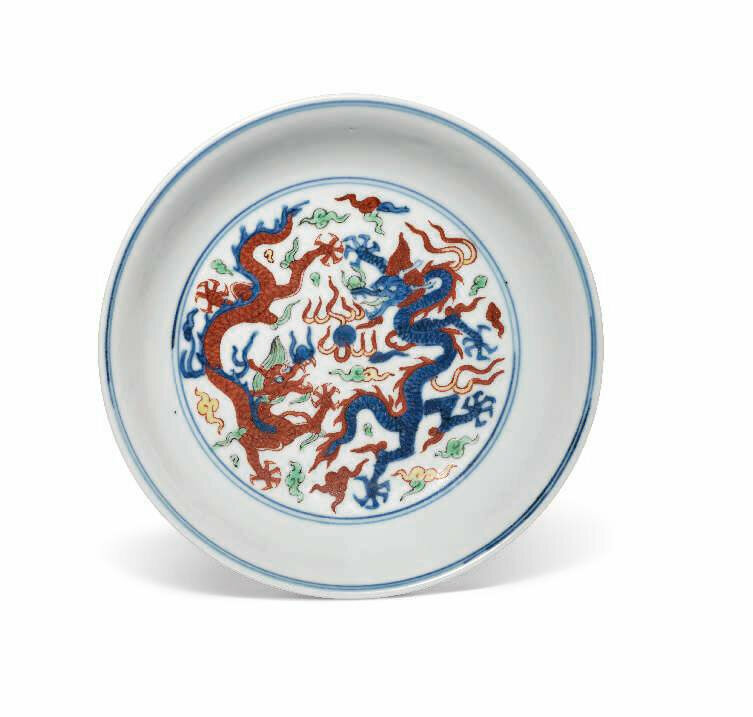 Lot 277. 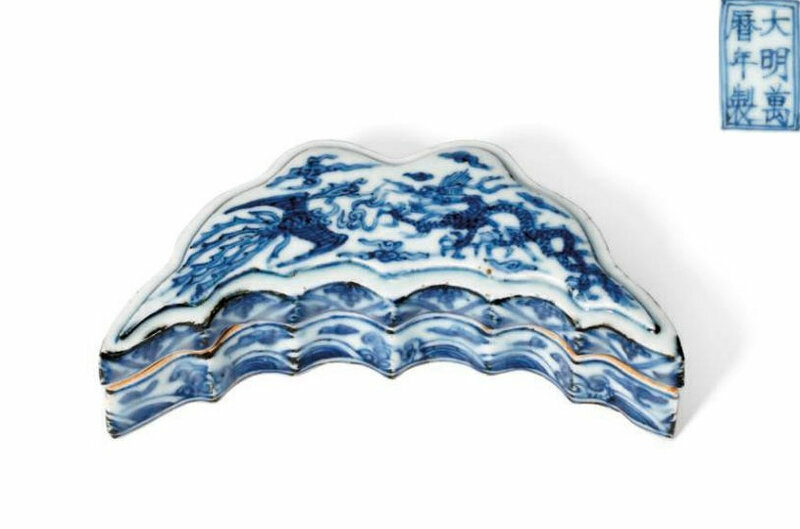 A large blue and white 'Phoenix' dish, Wanli six-character mark in underglaze blue within a double circle and of the period (1573-1619); 12 1/8 in. (30.8 cm.) diam. Estimate GBP 6,000 - GBP 8,000 (USD 7,830 - USD 10,440). © Christie's Images Ltd 2019. 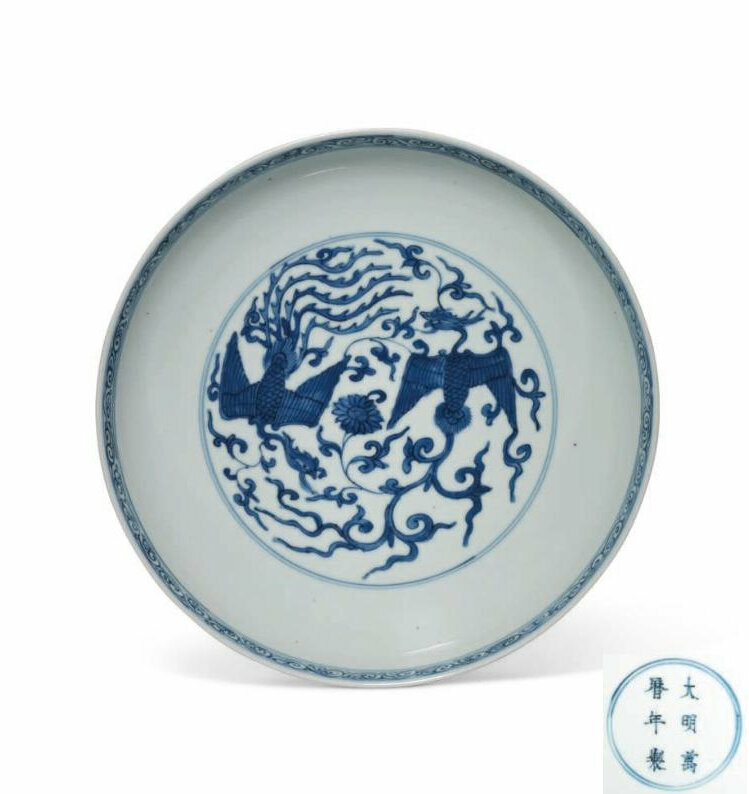 The dish is decorated in shades of cobalt blue with two confronting phoenixes surrounded by floral sprays and enclosed by a ruyi band. The exterior is similarly decorated.